As an English icon it was no surprise that Jaguar chose the iconic Earls Court in London for the world premiere of the Jaguar XE, which completes the Jaguar saloon range. Marketed as a true driver’s car the Jaguar XE has redefined the sports saloon through the use of lightweight aluminium construction, streamlined styling, luxurious fit out and most importantly outstanding ride and handling. 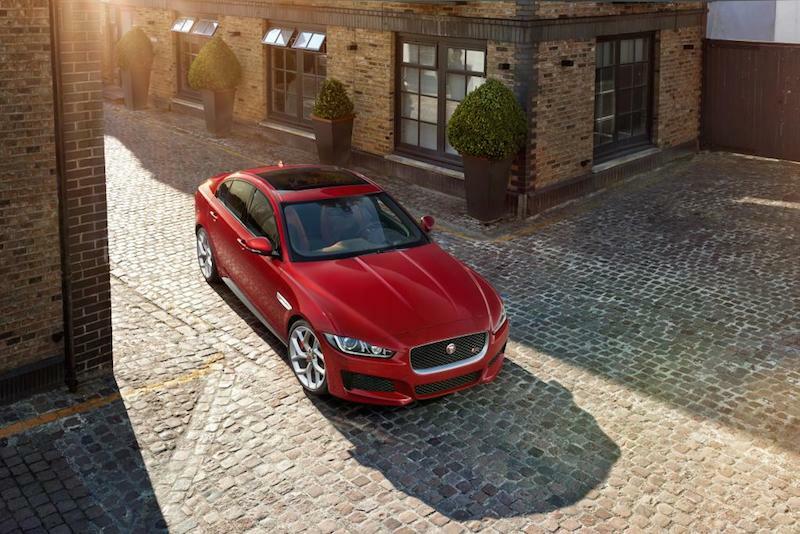 The Jaguar XE will be available in showrooms in 2015 with the high performance S model at the top of the range. The Jaguar XE S model is powered by a supercharged 3.0 litre V6 engine which generates 340 kw and 450 Nm of torque and when linked to an 8 speed automatic transmission, with paddle shifts, it achieves a 0 to 100 klm/hour time of 5.1 seconds. 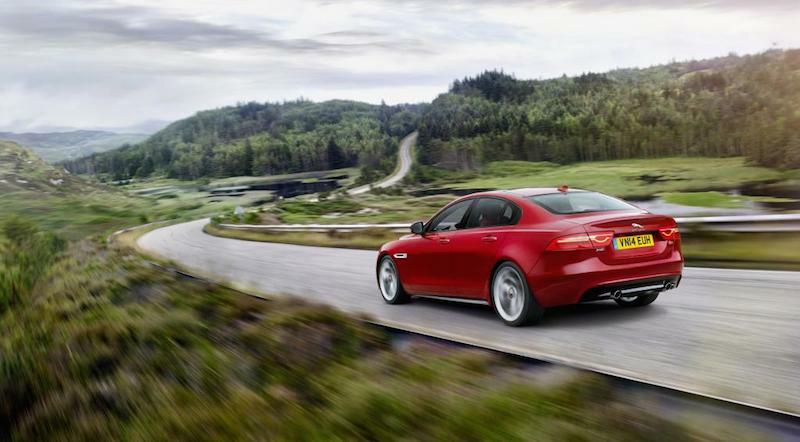 The Jaguar XE S has a top speed limited to 250 kilometres per hour. Completing off the S model package are large front air intakes, side chrome vents, rear spoiler and optional 20 inch forged alloy wheels. Aside from the S model, other models of the Jaguar XE will be powered by highly efficient 2.0 litre, four cylinder petrol and diesel engines which will be matched to either a six speed manual or the eight speed automatic transmission. The Jaguar XE is the first Jaguar to be equipped with electric power steering which is said to provide exceptional responsiveness and feel but the lower energy consumption than the traditional hydraulic systems. The Jaguar XE is the lightest, stiffest and most aerodynamic Jaguar saloon ever built offering what is said to be the lowest cost of ownership of any Jaguar and also the most environmentally sustainable. All Surface Progress Control – Included in the XE the ASPC is an all new system which works like a low-speed cruise control and functions between 3.6km/h and 30km/h it precisely controls the brake system and power train to ensure optimum traction in the most slippery of conditions without skidding and without the driver needing to use the pedals. Laser head-up display – is incorporated in the Jaguar XE and provides the driver with information such as speed and navigation instructions. Stereo Camera Technology – Jaguar is one of the first manufacturers in the segment to use this technology. This state-of-the-art sensor is the ‘eyes’ of the XE’s autonomous emergency braking system, providing highly accurate measurements of speed and distance of objects ahead, and can initiate full braking to avoid or mitigate a collision. With traffic sign recognition and lane departure warning functions it is the complete package. Central to the Jaguar XE’s infotainment system is an eight inch touchscreen as well as voice control which uses plain speech to navigate the system. The infotainment system supports Bluetooth, audio streaming and USB connectivity as well as acting as a Wi-Fi hotspot enabling multiple devices to connect to the internet at the same time. Using the Jaguar InControl Remote functionality users of iOS and Android smartphones are able to seamlessly connect with the car from wherever they are and control a range of functions including the climate control system, locking or unlocking doors or even starting the engine. Imagine the possibilities!! 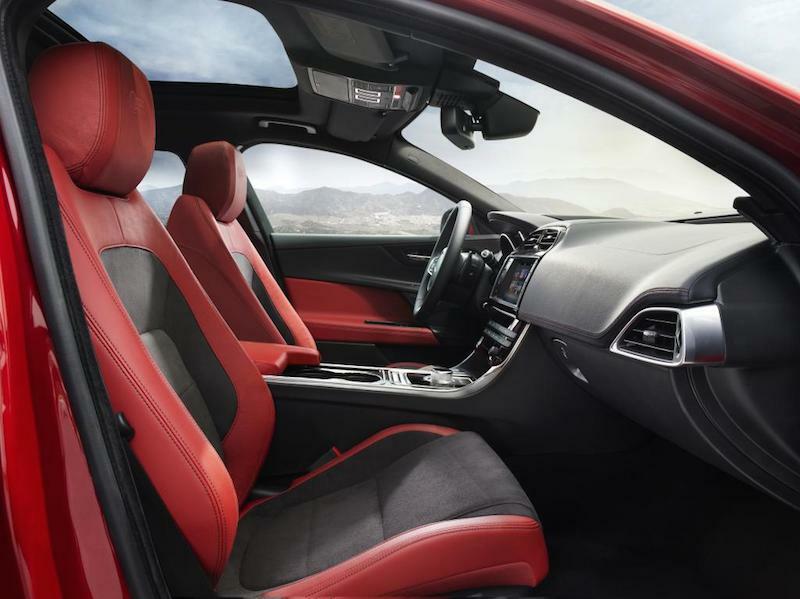 The Jaguar XE’s interior is luxurious with use of the finest materials evident. 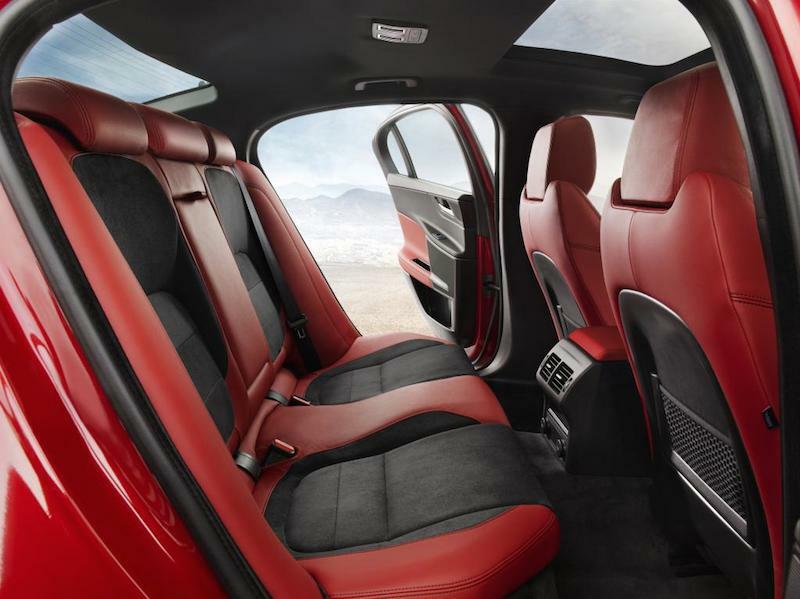 The S model with the red and black leather is visually spectacular and evident from the detail and design in the seats comfort and visibility are the two most important factors. Rear passengers have not been forgotten with ample leg room, the same attention to detail as the front and high backed seats to maintain the sense of luxury and comfort. For CarHq the Jaguar XE presents as the complete package and for us the choice is obvious, the Jaguar XE S is the must have and we are sure you will agree.